The recent post suggests a new Nubia smartphone with a dual camera. If confirmed, it would be a first for that product line. A recent post on ZTE's Weibo account suggests that it will unveil a new smartphone next week. The posted image shows what seem to be a pair of eyes, which may actually represent a dual camera. A rough translation of the accompanying text reveals the Nubia name, along with a Spring 2017 release date and an invitation for followers to "see more." "Seeing more" is undoubtedly a clever way of referring to both the dual camera and the additional details ZTE will provide at the upcoming event. 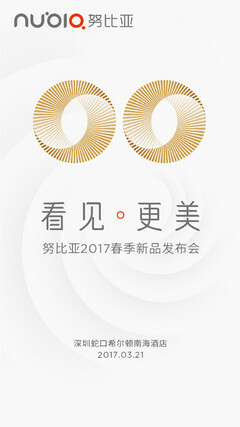 The unveiling of the new smartphone will take place on March 21 at the Hilton Shenzhen Shekou Hotel in Shenzhen, China. A specific hour is not mentioned in the post. Aside from this information, nothing else about the mysterious phone has been revealed. Of course, this hasn't stopped various Weibo users from speculating on the rest of its specs—a Snapdragon 835 chipset and a front-facing fingerprint reader are popular theories. None of those specs are official, however, and the upcoming event should confirm the phone's actual details. 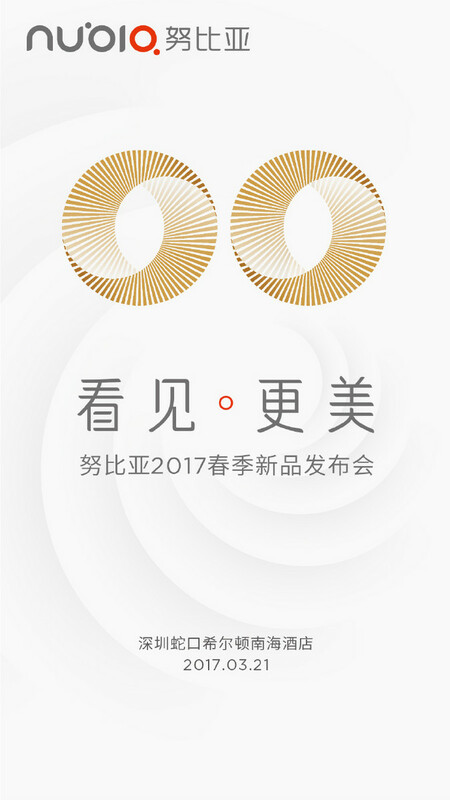 While a Nubia smartphone with a dual camera is a first for ZTE, several smartphones in its Blade line already include this feature. The ZTE Blade V8 and its Pro and Mini variants all have a dual camera. With dual cameras becoming standard on more competing smartphones, it would make sense for ZTE to include it on more of its phones.